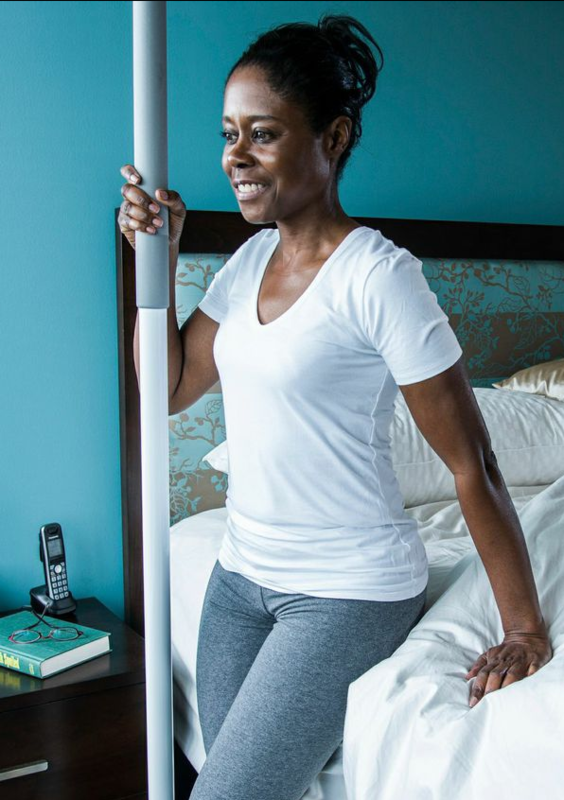 SuperPole, manufactured by HealthCraft, is a unique safety pole designed for the elderly or those with limited mobility to aid in sitting and standing. 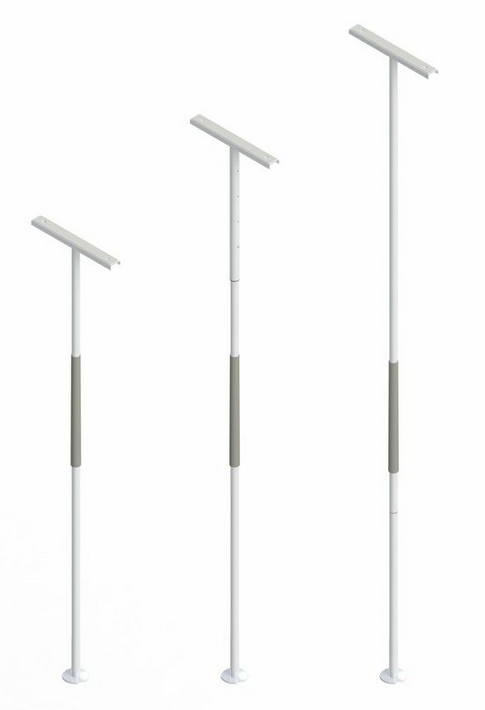 The SuperPole System is a sturdy floor-to-ceiling pole that can be installed in virtually any room of the house. 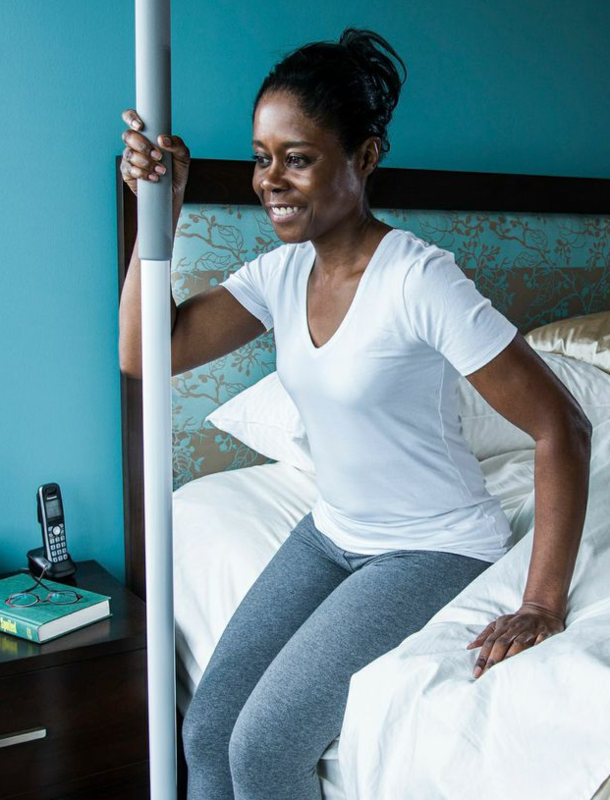 Place poles to add independence when getting in and out of bed, sitting in the bathroom, or getting up anywhere in the house. 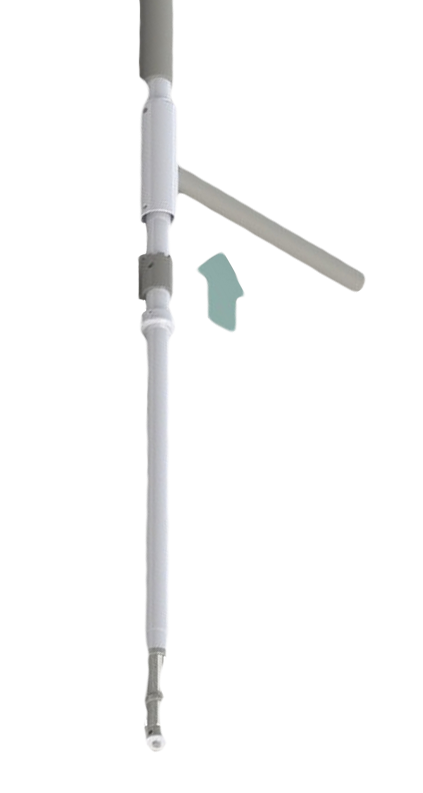 A SuperPole can also be relocated within the home by simply turning the screw at the top and bottom of the pole to contract. The top and bottom rubber pads protect the ceiling from being damaged when installed. The standard SuperPole is made of reinforced alloy steel and can support up to 300 lbs in weight, as well as its taller counterpart, the SuperPole Ultra. 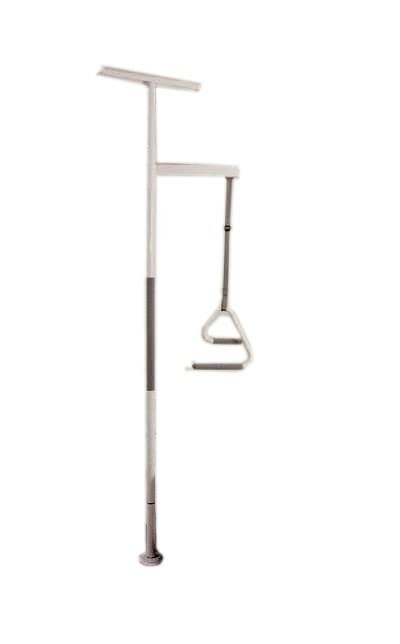 For heavier individuals, the heavy duty Bariatric SuperPole model can support up to 450 lbs. 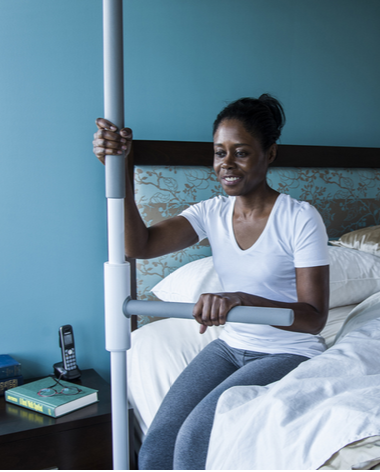 Unlike a Bed Assist Rail, the SuperPole allows user to grasp on without bending so that they can get into bed easier than is normally possible and therefore reduce the risk of falling. The Super Pole also has an anti-microbial finish grip bar to prevent bacterial build-up and promote good health. These Safety Poles can be used by themselves or used in conjunction with a variety of add-ons depending on the user's needs including: SuperBar, SuperTrapeze, Uni-Fit Extender, Ceiling Plate Extender and Angled Ceiling Top Plate. The SuperBar transforms the pole into a more versatile pole by adding horizontal support to the vertical support. It has eight locking positions and gives added leverage allowing for one hand gripped on the vertical bar and one hand on pole to stand up. 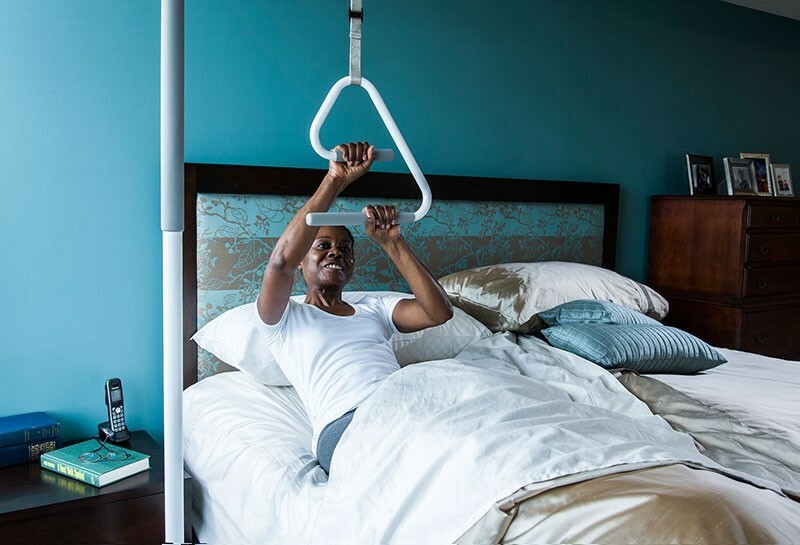 SuperTrapeze increases the SuperPole's functionality to include in-bed support. 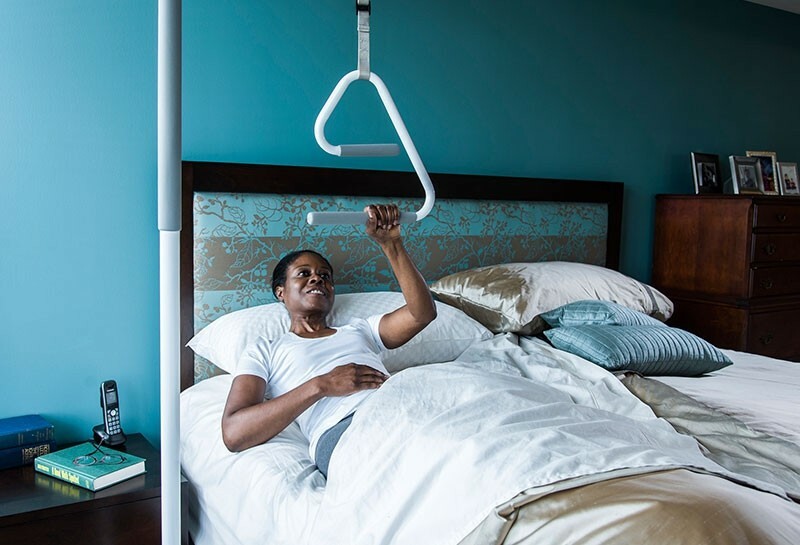 With the SuperBar adjacent to the bed, the SuperTrapeze attachment extends over the bed with a handle with two horizontal hand grips to assist user with in-bed mobility. and getting out of the bed with security. 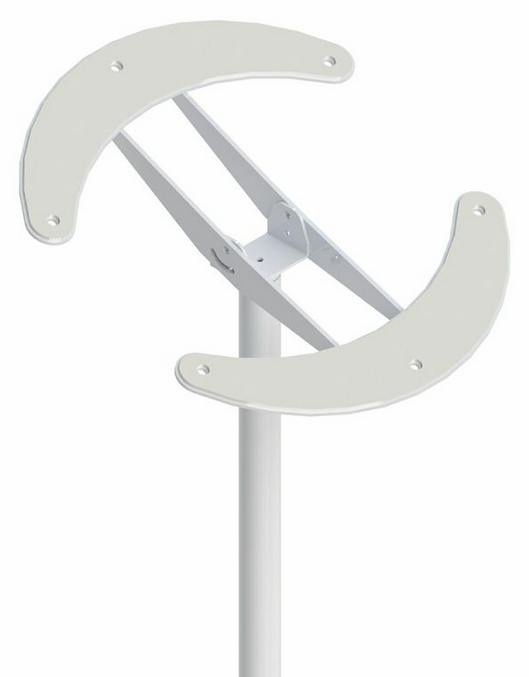 The 17-inch long support arm can be adjusted to the correct height for the user. No more than 150 lbs should be exerted on the trapeze system. The Ceiling Plate Extender spans 30 inches in length, adding an additional 10 inches from the standard SuperPole top plate length. 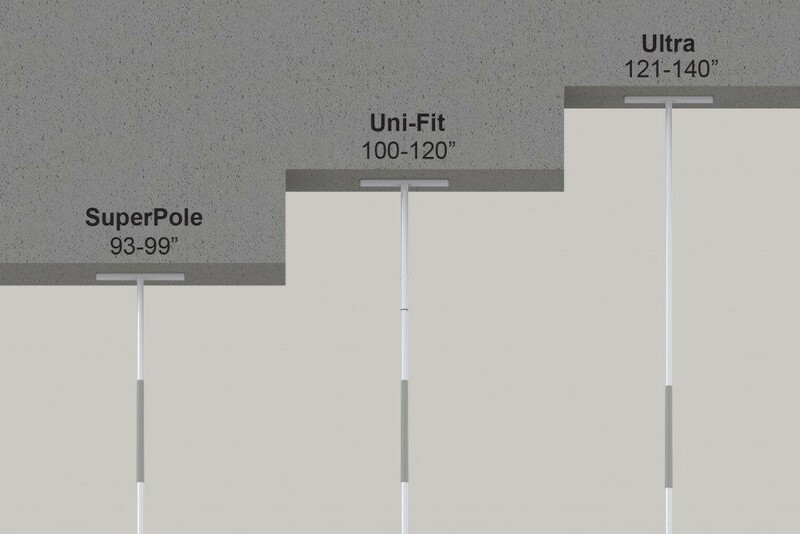 Uni-Fit Extender slides on top of the SuperPole to add additional height when ceiling height is more than the standard height of 93 to 100 inches. The extender is attached to the top of the SuperPole to increase the floor to ceiling range up to 120 inches. It has a telescopic slide to go over SuperPole and extend to the height needed. There are five holes with locking pin to secure the desired height. The top of the extender is secured to the ceiling with an anchor plate with a second locking pin. SuperPole with Bariatric Support has Pivot-and-Lock technology. It can unlock and pivot into position at every 45 degree angle. Is is height adjustable, allowing it to fit into most standard rooms. Includes an anti-microbial white powder coat finish, and a non-slip closed foam grip handle. 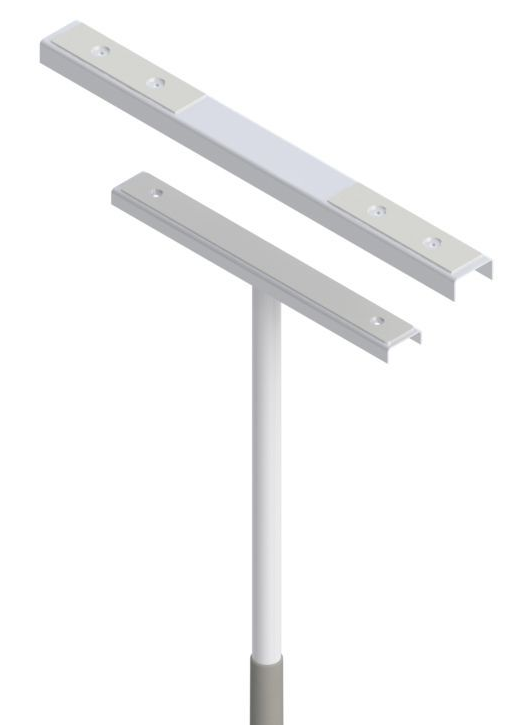 SuperPole with Angled Ceiling Plate is a perfect option for ceilings that are at an angle, making it difficult for a standard SuperPole to be placed. The Angled feature allows you to pivot from 0 to 45 degrees, according to your ceiling angle and will support and function just as the rest of the SuperPole family. SuperPole Ultra is not an accessory but rather a longer version of the SuperPole to accommodate a floor to ceiling range of 121 to 140 inches. It has a weight capacity of 300 lbs. The Ultra is not compatible with any of the SuperPole additional accessories. 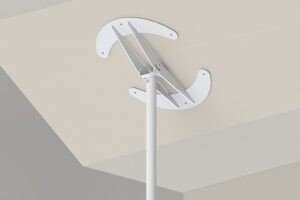 The SuperPole does not have to be attached, but it's suggested if it is not attached to the ceiling, the tension needs to be checked once a month. The SuperPole Bariatric must be attached to the ceiling. The SuperPole™ SuperTrapeze System should only be installed between floors and ceilings of solid construction or injury may result. The SuperPole System™ should not be installed on loose floor coverings, in rooms with radiant ceiling heating, in mobile homes, or in suspended or angled ceilings. The recommended weight limit is 300 lbs. Bought it for my mom to help her from the bed to her wheelchair. She loves it. Strong, well built. Makes her feel much more secure. Very helpful product. Purchased, but found the ceiling joists were too far apart. Had to order another part, the extender, to get the correct ceiling mount. Would like to see the product come with ceiling mount sized for all joist distances at first order. I purchased the superpole for my mother, the one with the bar, and I feel better knowing that she's not going to fall over when she puts on her shoes. I got the super pole with safety island. I like it, because it is a grab bar when I need it, but I can also set stuff on it.